Fed up carrying around two phones, an iPhone 4 and a BlackBerry Curve, this weekend I decided to ditch both of them for a Samsung Galaxy S4 Mini dual sim running Android 4.2.2. 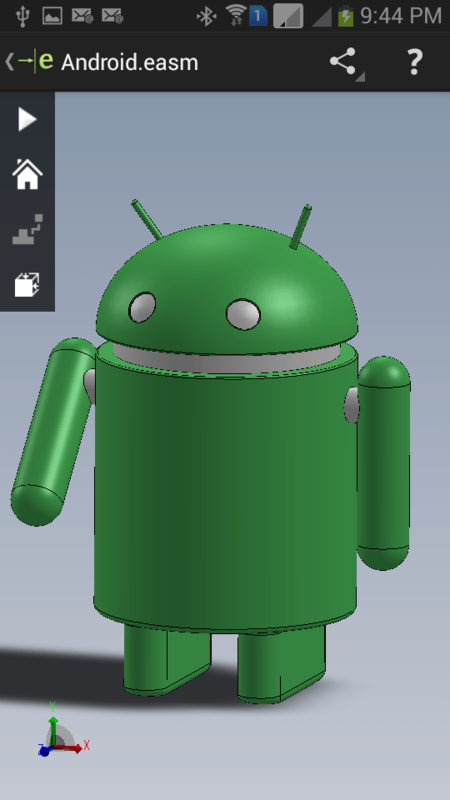 And it turns out today SolidWorks released its eDrawings viewer for Android. 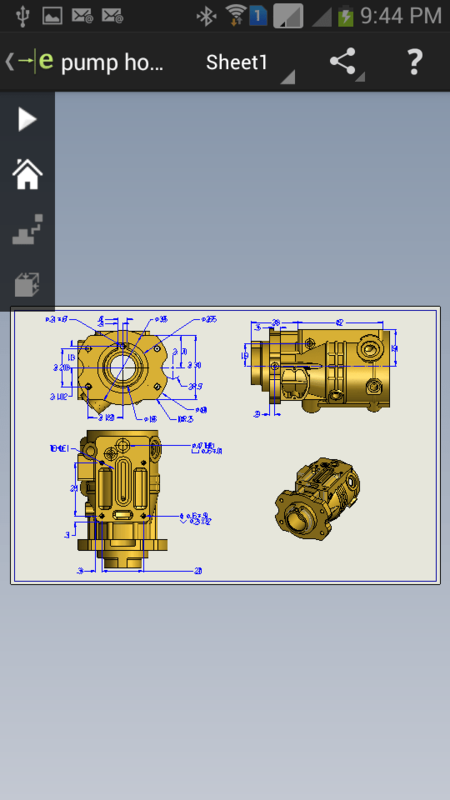 Over a year ago SolidWorks had released eDrawings for iPad and I wrote about it here. Out of sheer curiosity I bought and installed the Android version today. Here are a few screenshots of the sample files that come with the app. 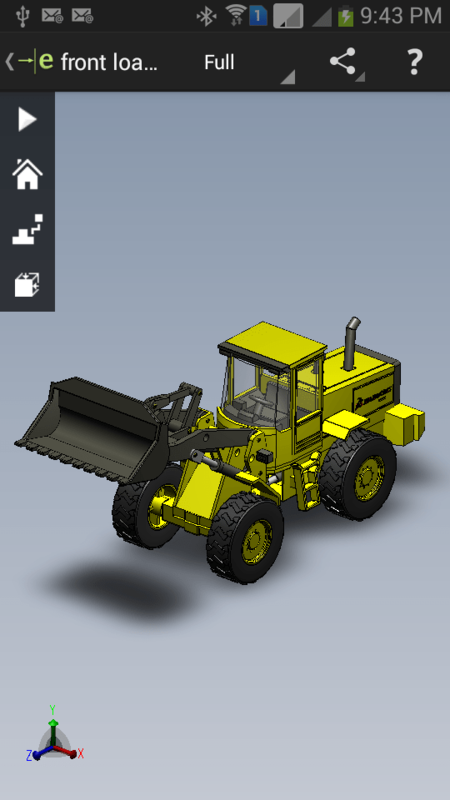 The app comes with standard multi-touch 3D navigation features. I found it to be pretty quick and responsive. 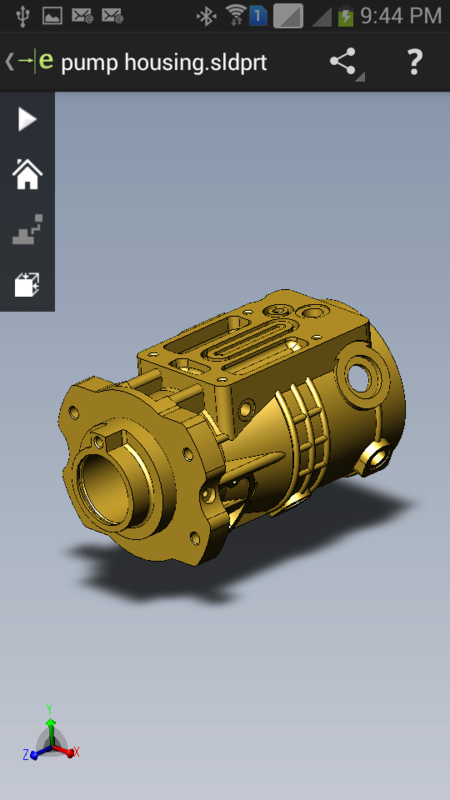 You can use it to view 2D and 3D files in native SolidWorks or eDrawings formats. 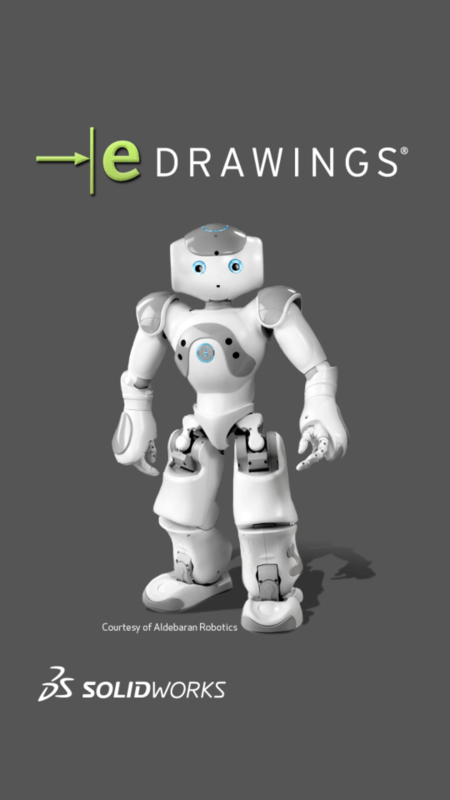 You can animate through the standard views and snap to various orthographic and isometric views. 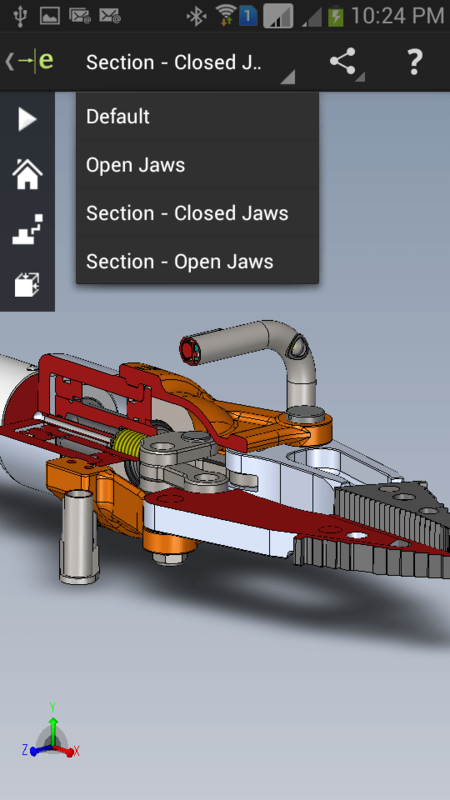 I couldn’t find a way to add section planes to inspect the innards of the models. However one of the sample files had a couple of section views saved in the file which I could snap to. 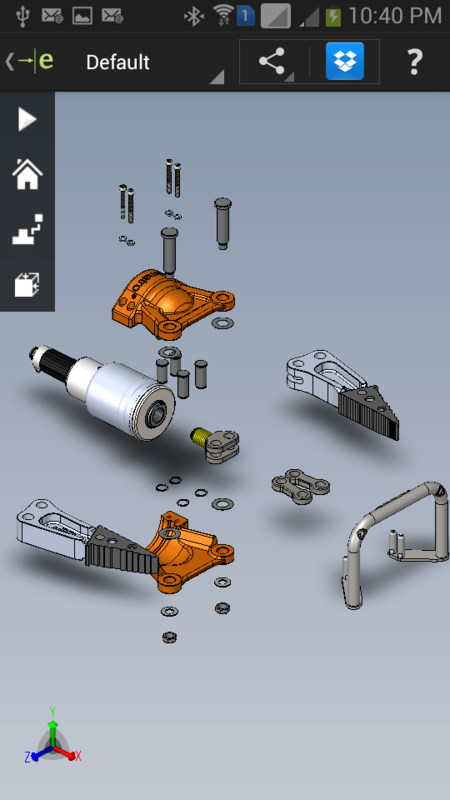 You can also snap to exploded views of an assembly. You can import your files into the app by opening an email attachment or connecting to a cloud storage service. 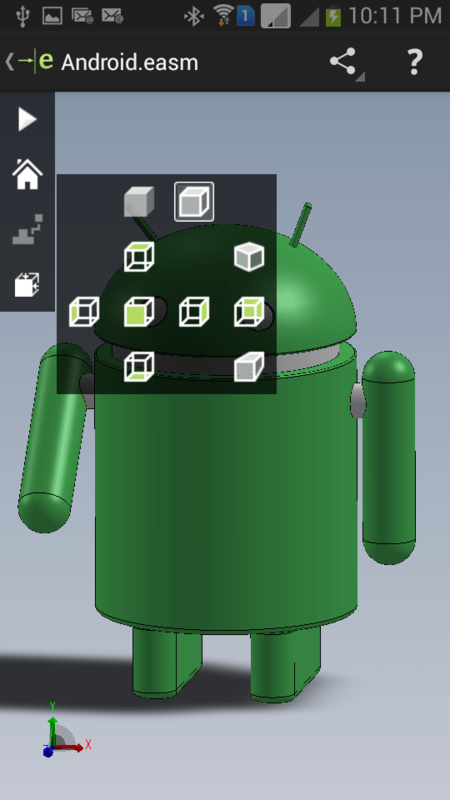 The app registers itself with Android which then gives you an option to open supported files and attachments using it. 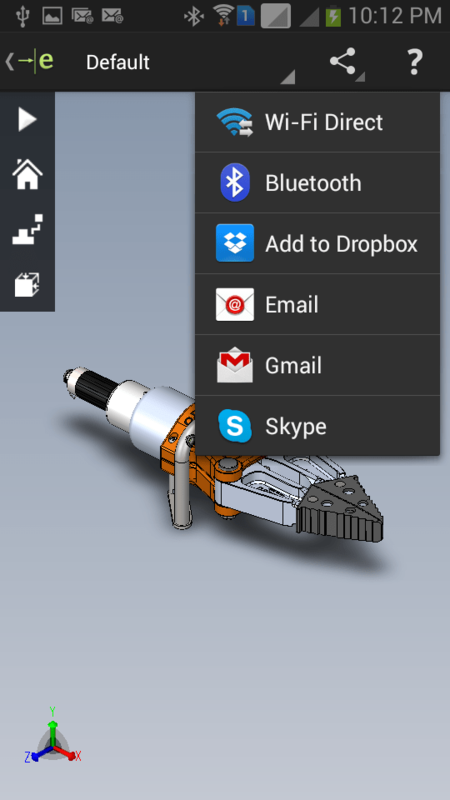 You can even share your files from eDrawings using a number of ways. You can download it from the Google Play Store.